Bring the warmth and richness of Fall colors into your home with our annual Autumn Harvest Bouquet. 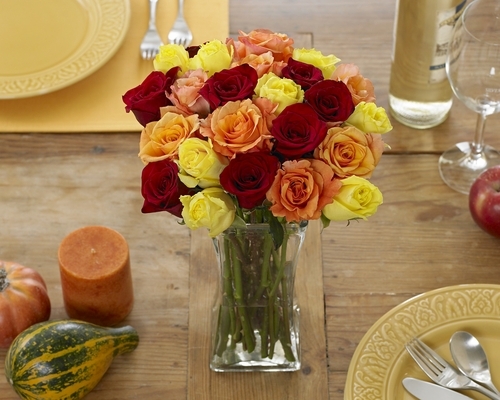 Choose this seasonal combination of red, yellow and orange roses for your holiday centerpieces, or for a beautiful and simple vase at the office. You can give thanks that we carry 25 different varieties within the red, orange and yellow color families, and cut only those that are at the peak of their growing cycle at the time your order ships. 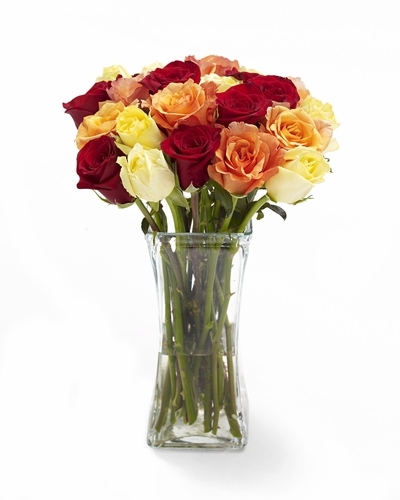 The shade of roses and other variables, such as stem length and head size may differ slightly from what is displayed here. 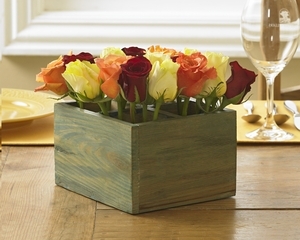 However, you can be assured only the finest roses will be shipped. 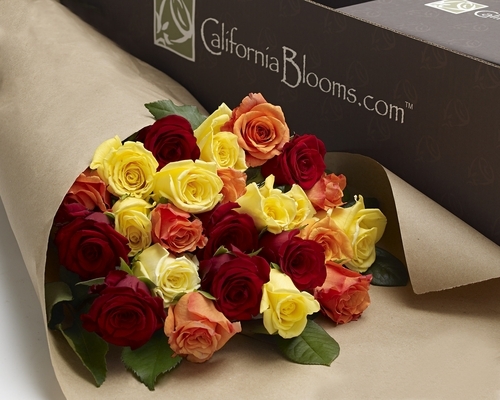 Enjoy the colors of Fall only from California Blooms.